I follow Rihanna's bff Melissa on Instagram. I love the friendship between these two. It's admirable. I never had a sister and I've always wanted one but sometimes a close friends can become like a sister. 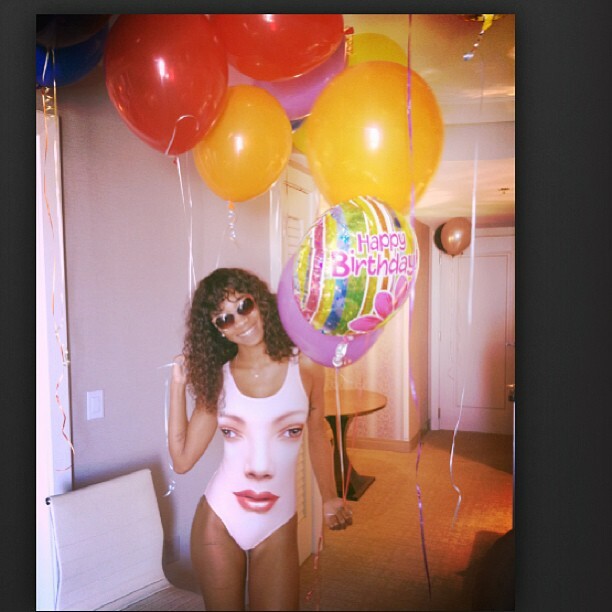 Melissa recently celebrated her birthday with bad girl rih rih and rocked this Jeremy Scott for Adidas printed face swimsuit. Do you love? yay or nay. I don't think I am personally bold enough to wear it but it looks cute on her. Would you wear this? Comment below. You can find this print for $95 at Adidas original stores nationwide. 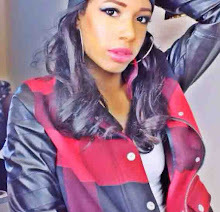 14 comments on "GET THE LOOK: RIHANNA'S BFF MELISSA FORDE "